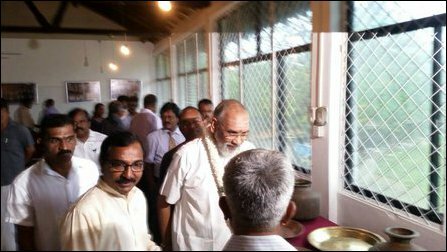 The Northern Provincial Council, which was able to advance and confront the traditional food court of Tamils successfully, has failed to challenge the larger heritage-genocide of Sinhala Theravada Buddhist establishment at a civilisational level. 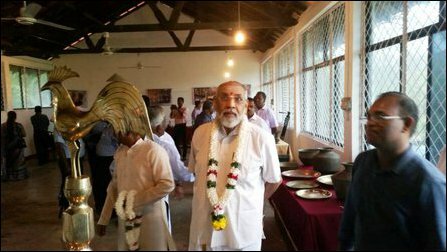 However, as a last-minute manoeuvre before its expiry in one week, the NPC has managed to launch two heritage initiatives on Thursday in the country of Eezham Tamils, a Heritage Centre at Nalloor in Jaffna peninsula and a model heritage village known as Tamil's Civilisation Hub at Maanthai East of the Vanni mainland. The move is a significant one, especially at the backdrop of the accelerating provocations coming from the unitary state mechanism and the occupying SL military, that seize and transform the Tamil heritage sites into Sinhala Theravada Buddhist installations. 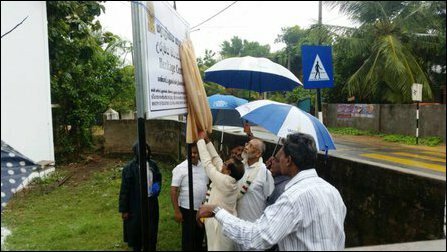 The NPC Chief Minister Justice C.V. Wigneswaran delivered keynote speeches at both the events. Conserving the heritage artefacts of Eezham Tamil civilisation is an esteemed endeavour, which should stand above the political paradigm of present-day nationalism-oriented discourses. The move, which has come at the last minute of the current NPC, should be independently managed and advanced without political and imperial influences, commented Tamil journalist circles in Jaffna. The caution from the journalists comes as a section of academics in Jaffna have succumbed to the funds originating from imperialists and their agent state in Colombo. 16.09.18 Mullaiththeevu residents resume deity rituals after confront..
13.09.18 Tamils confront Colombo by reviving deity rituals at threate..
07.09.18 Eezham Tamils confront SL military-surveying of lands aimed ..
04.09.18 Tamil villagers lay siege to intruding monks, expose ethnic ..
28.08.18 Vanni mobilises against structural genocide with anti-Mahawe..
24.08.18 Occupying Sinhala military schemes second Buddhist vihara at..
21.08.18 Vavuniyaa protesters: Colombo wages new war through genocida..
12.08.18 Militarisation of Jaffna Fort dashes hope of establishing Ta..